Rose: I -- I love you. The long-running British science fiction television show Doctor Who features the title character, a Time Lord from the planet Gallifrey, who has many adventures in time and space. Although from the beginning, it's clear that the Doctor has family, children, and grandchildren, on-screen, there were no romantic relationships involving the Doctor until the show went off the air in 1989. In the 1996 TV movie, there was a hint at romance -- including an infamous kiss -- but it wasn't until the show returned to the air in 2005, that romantic elements were prominent in the show. 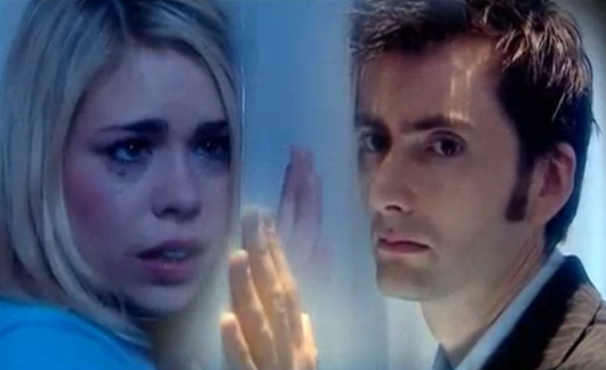 The relationship between the Doctor and Rose Tyler was one that many new fans of the show, as well as older fans, enjoyed. What did you think of the Doctor and Rose?